Since the last post, I've been working on two things. 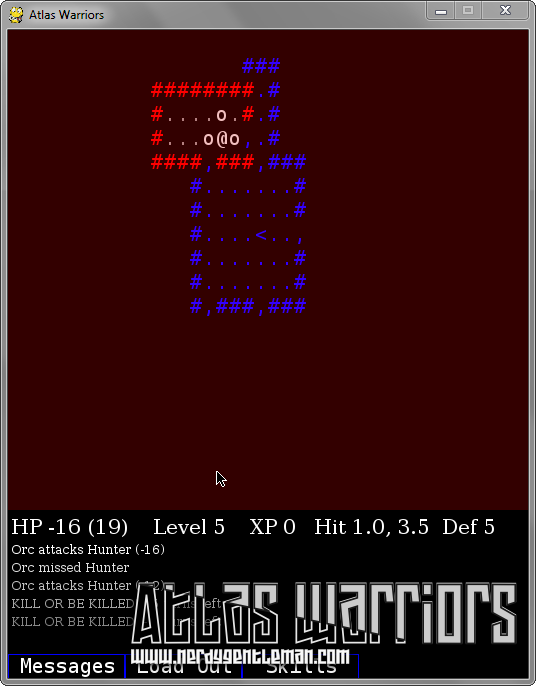 Firstly, I've made the levels more interesting. I've made heavy adjustments to how it plans new rooms, and added the possibility of rooms interconnecting. 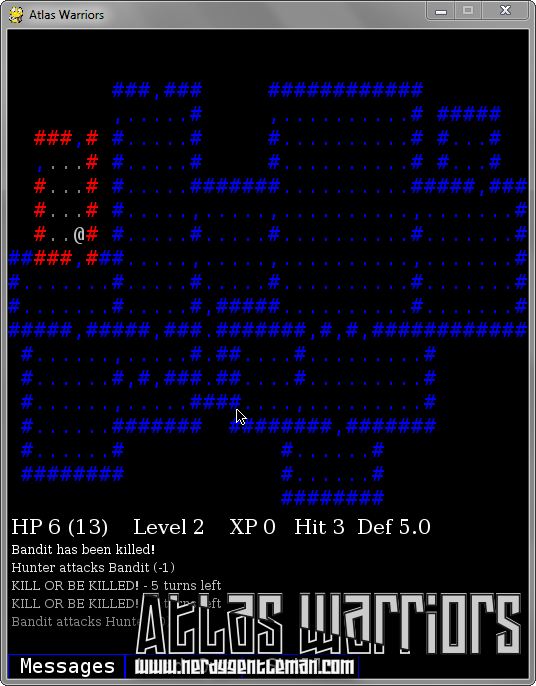 I've also added a 'Kill or be Killed' mode (which is essentially the Second Wind mode from Borderlands). One of my goals has been to keep the figures (like HP and damage) low. Having Kill or be Killed allows me to keep the figures low and make the game a little more harsh knowing that a player will often be able to get themselves back. 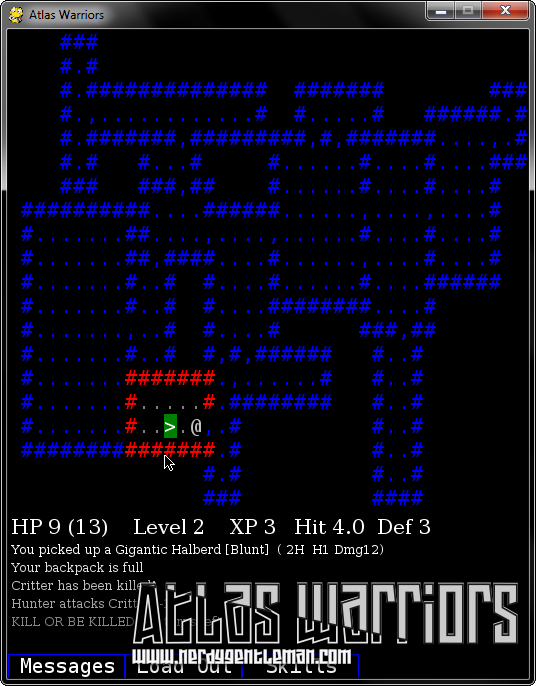 The game is never going to be the greatest roguelike - but I'm hoping it'll be a bit of freely available fun. It's also proving to be a good learning exercise. Not looking forward to trying to balance it though.